Full Disclosure: Starfrit provided the set of pans for review but I was not compensated for this post. As a foodie and blogger obviously good equipment is a must for me, so I’m always on the lookout for kitchen items that will meet that high standard. My kitchen pans were starting to look a little worn and a neighbour mentioned a set of pans that she has used for a while and that she had just bought for her daughter too which she really liked. The pans were called Heritage The Rock by Starfrit. I contacted Starfrit and they kindly offered to send me a set to review. 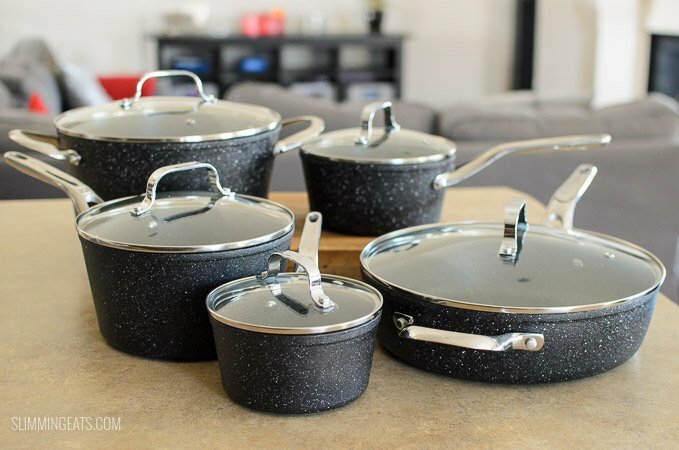 The set came with 4 different sized saucepans with lids, including a deep stock/casserole pot and then a deep frying pan/skillet with lid. 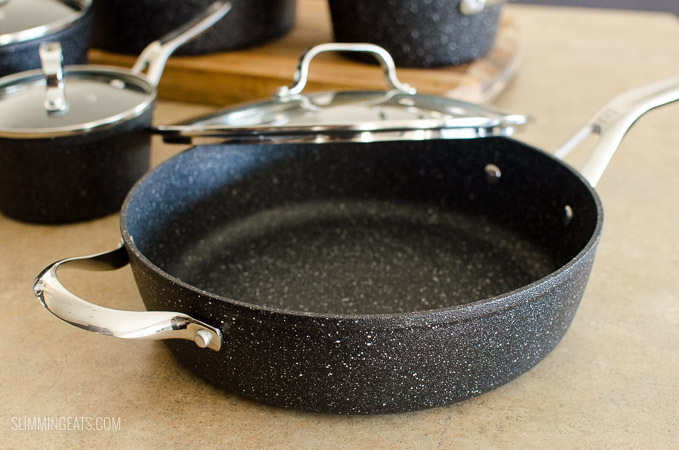 The pans are made from a durable forged aluminium base and then finished with their “Rock tec” surface. This gives them a very unique look and feel, certainly making them stand out from the crowd. Since I received the set, I have been using them daily and absolutely love them. I would go as far as to say, they are the best non stick set I have owned. I have had no sticking of food of any kind and I haven’t even had to use any oil for some of my cooking. When you do use oil, you actually only need very little, which is great because it means the syns are kept as low as possible when cooking Slimming World recipes. 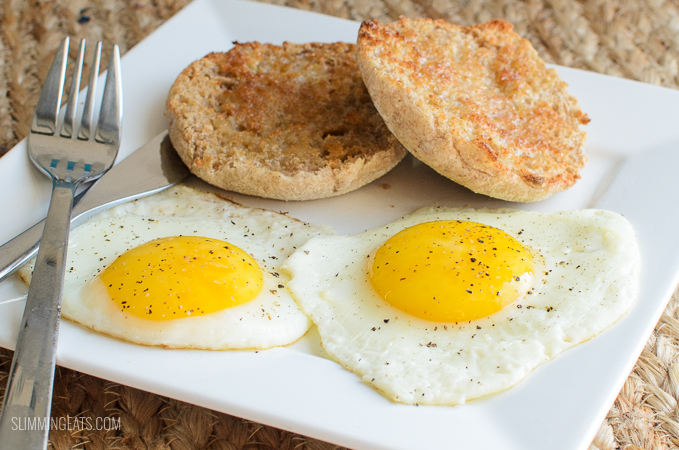 I thought the best food item to test these on, would be some fried eggs. 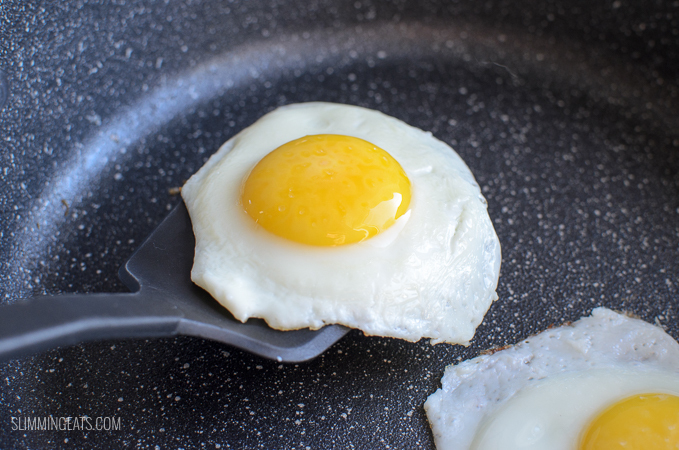 There is nothing worse than cooking a fried egg, to go to transfer it to the plate and find it is stuck to the bottom of the pan. Super frustrating when the pan you have is supposedly non stick. That didn’t happen at all with the Heritage The Rock pans, it glided off easily, no sticking of any kind. Even when making sticky based sauces, there has been no sticking of the sauce to the pan. I recently used the small pan for a toffee sauce and a chocolate sauce and neither were hard to clean from the pan afterwards, which is really important for me. I want effortless cooking and easy clean up afterward. When cleaning the pans, I just wipe with a wet clean soft cloth. Occasionally they need a little soak, but that is only to prevent any scrubbing, so as not to ruin the surface of the pans. 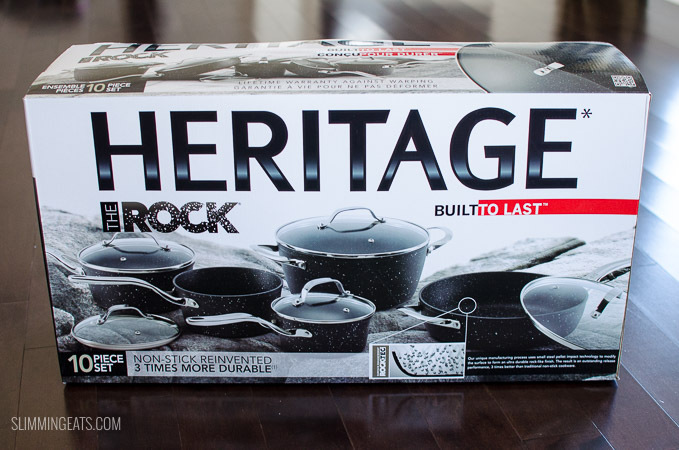 The Heritage The Rock pans also come with a lifetime warranty against warping, which is great. I’ve owned some really good pans in the past that have warped, and there is nothing worse than trying to cook and the pan keeps moving about on the stove, because the bottom is no longer flat. Sounds like a great cookware set. My set getting pretty old! I bet this set it a amazing! I have a frypan and I love it! So easy to clean and food just doesn’t stick at all. Great review! Thanks for the review. These sound like a wonderful addition to any kitchen. I purchased a heritage rock pot set last year. The rock like coating is worn off. You would need to contact starfrit the manfacturers of heritage the rock. I’ve had mine over a year and not had any issues. 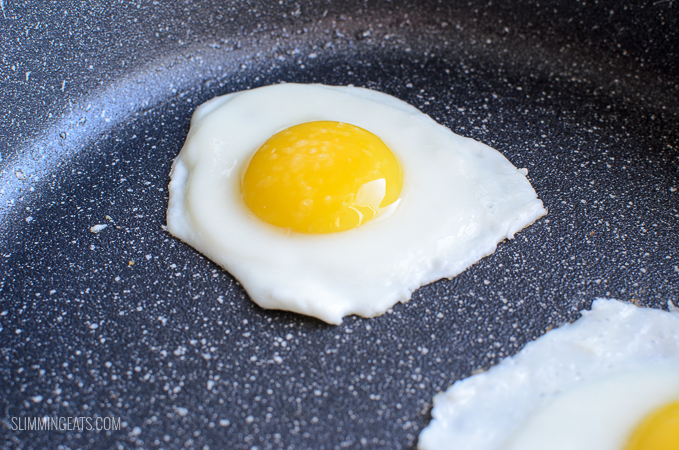 Be careful what oil you are using, as well as heat and how you clean, as that will effect the coating of the pan for sure. I just bought a set and was wondering if you could use metal utensils ? Hi Maria, I use wooden or silicone utensils as metal could scratch the non stick coating. Just bought a set and the lids for the stock pot and large frying pan don’t seal on top of the pots; the pot/pan seem to be warped but the rest are fine. Has anyone else had this happen? It’s definitely not an issue with my set, the lids won’t seal, but they should sit correctly on top of the pots/pans. I would contact starfrit. love the set.. Would like a roasting pan about 2/3 or half the size of the large roaster. Cooking for 2 and liking roast vegs a smaller pan would be less heavy and easier to handle. Love my set so much that I went back and bought my brother a set for Christmas. 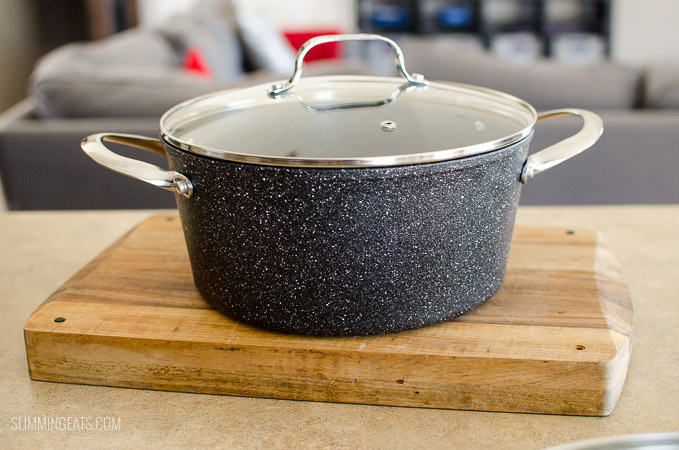 I have expensive pots and pans,but these are my new favorites, as they clean so easy. Love them so much !!! I wish they would come out with single pots, so I can add to my set .